R2D2 model! The famous, ever helpful, fix-anything rolling robot from the Star Wars series! 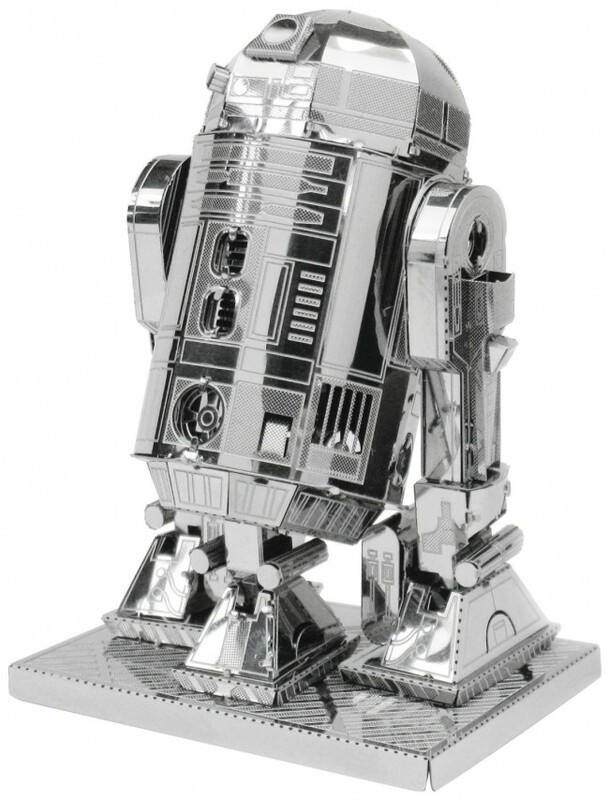 Assemble your very own model of R2D2 and add to your Star Wars collection! The Metal Earth Models easily pop out of their frame. Put them together and then show them off! Tweezers make an ideal tool for bending or twisting the connection tabs. Instructions are included in each package. For ages 14 and up. The steel models make for great gifts for those who love working with models. They make perfect decor and centerpieces on your table or shelf that your friends will love admiring.